The bike that breakthrough custom builder Zach Ness built and rode to Sturgis last year is now available as this limited-edition bagger. It features the smooth style and daring attitude Zach brings to the streets, with custom paint and graphics, Ness accessories and the pumpin’ audio system Zach demands. The ideal complement to this bike’s incredible Zach Ness style is genuine Victory performance. 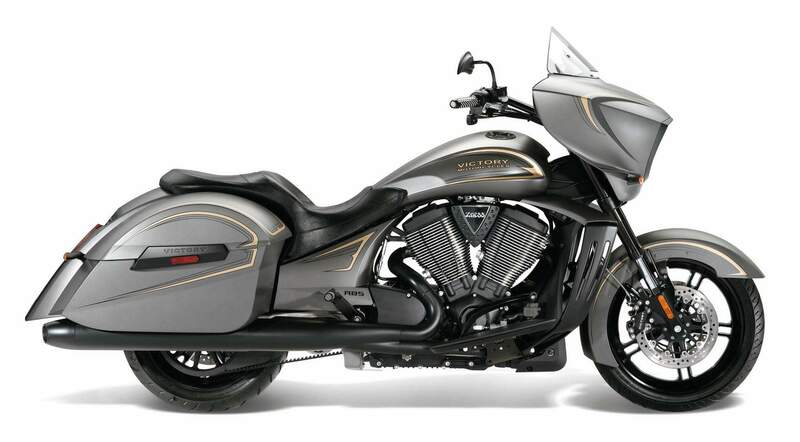 The smooth and powerful 106-cubic inch Freedom® V-Twin serves up 106 ft-lb of torque, and the 6-speed transmission has true overdrive for the smoothest highway cruising.